Shifting business priorities spur multi-cloud adoption. New research from Dell Technologies business Virtustream has revealed that shifting business priorities are driving enterprises to adopt multi-cloud strategies with performance and innovation rising above cost savings as the top measures of success. The company's commissioned study titled, “Multicloud Arises from Changing Cloud Priorities”, surveyed 727 cloud technology decision makers at businesses with over 1,000 employees. 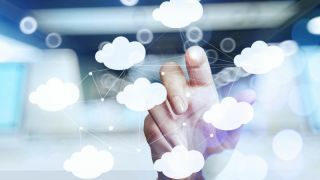 Virtustream's study found that a vast majority (86%) of respondents described their current cloud strategy as multi-cloud. Additionally, 60 per cent of enterprises reported that they are now moving or have already moved their mission-critical applications to the public cloud. As enterprises move mission-critical applications to the cloud, investments in cloud technology have increased as well with researchers finding that almost half of enterprises report at least $50m in annual cloud spending. This investment is likely to continue as a vast majority of respondents plan to either increase or maintain their investments over the next two years. The IT leaders surveyed also showed a diverse set of use cases for multi-cloud platforms and believe that a multi-cloud approach yields a number of benefits such as improved IT infrastructure management and flexibility (33%), better IT cost management (33%) and improved security and compliance (30%).